Alpha Delta Phi a college social fraternity founded at Hamilton College, Clinton New York. Alumni being many famous politicians and judges, the society is very well respected among other fraternities. It is also a charter member of the North American Inter-fraternity Conference. It makes a very special individual to wear the sash that associates them with this fraternity. 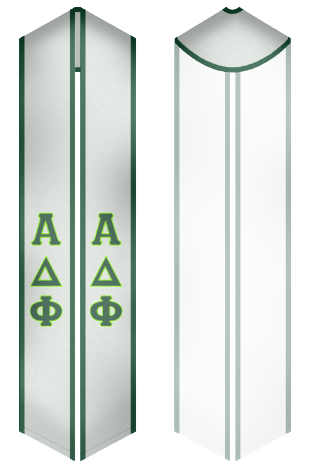 You can design and choose your very own custom sash that would signify your membership when you graduate from college.